DETECTIVE COMICS #1001 pick up from Tomasi's story in the milestone issue #1,000. The storytelling is suspenseful, aside from a little bit in the middle that doesn't seem to drive the narrative as much. Tomasi's last several issues on the series were strong, and it looks like we're in good hands for this new story, too. Peter J. Tomasi cements the new era in Batman’s legacy with Detective Comics #1001. Picking up from his story in Detective Comics #1000, Tomasi introduces the Arkham Knight from the similarly-titled video game as the chief antagonist of his new story. Batman investigates some strange bat-related phenomena occurring throughout Gotham. In the midst of this activity, though, the Arkham Knight and his army decide to strike. It’s worth noting that readers who haven’t played the Batman: Arkham Knight game can feel slightly lost from the outset. However, it’s nothing a few minutes on Google can’t fix. Detective Comics #1001 effectively showcases the Arkham Knight as a genuine threat. The character has fanatical followers, powerful weapons, and incredible technology…all aimed at taking out Batman. It was interesting seeing Arkham Knight’s impression of the role Batman plays in Gotham in our last issue. Now, the scope of what the character seems to have planned is impressive indeed. The storytelling in Detective Comics #1001 is compelling stuff. Presumably, the figure under the mask is not the same assailant as in the game, forcing us to guess who could have taken up the Arkham Knight persona. Even beyond that mystery, Tomasi’s writing is suspenseful, intriguing, and leaves you wondering what will happen next. He reveals enough to keep readers engaged, but keeps his cards close to the chest about what’s really going on. The artwork by Bradley Walker is strong here. He has a fine eye for dynamic movement, which he showcases in the book’s action-driven second half. He lays out pages during quieter moments in more regular squares. When the action picks up, though, page layouts become much more chaotic and unpredictable to match the pace. Walker’s design for Batman in Detective Comics #1001 harkens back to an older, early ’40s-inspired look. Along with inker Andrew Hennessy, the pair delivers something that feels classic, yet not out-of-place in modern context. Colorist Nathan Fairbairn employs an uncommonly-bright color palette for a Batman book. While it feels unconventional, it largely works within the context of the book. 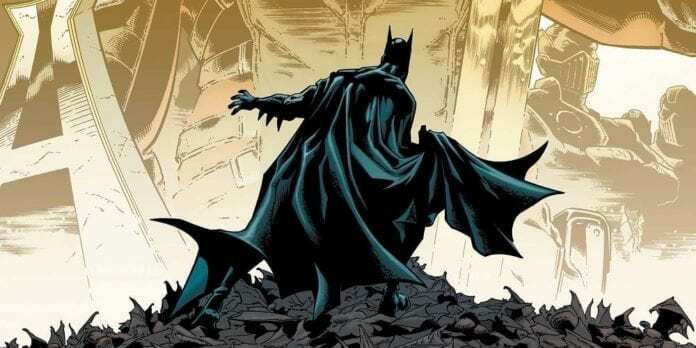 Detective Comics #1001 suggests the future of the Caped Crusader is in good hands. Definitely recommended.